Luc Masse became familiar with aerospace from his time in Cold Lake and aviation discussions with his father who served in the Canadian Armed Forces as an electrical engineer. At the time, Masse could not have imaged aerospace would become his world for more than 30 years. One of Canada’s most historically important civil and military aircraft manufacturers, Canadair was privatized and in 1986 became a part of Bombardier, where Masse would develop his career for more than 22 years. 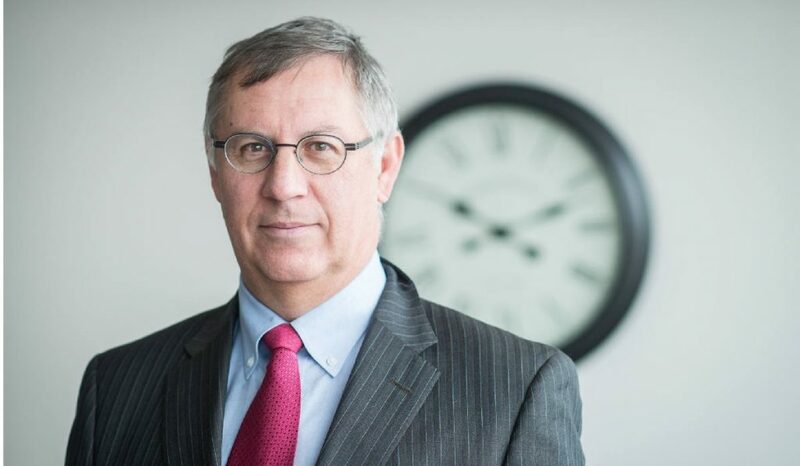 He then joined Skyservice in 2000, eventually serving as senior vice president, before taking on a similar role at Starlink Aviation in 2008. In 2010, he began L. Massive Aviation Solutions and worked on projects with Ingenio Aerospace and GAL Aerospace, as well as spending more time with Starlink and Bombardier, including a key role for the latter’s efforts in China to build business aircraft after-sales support. 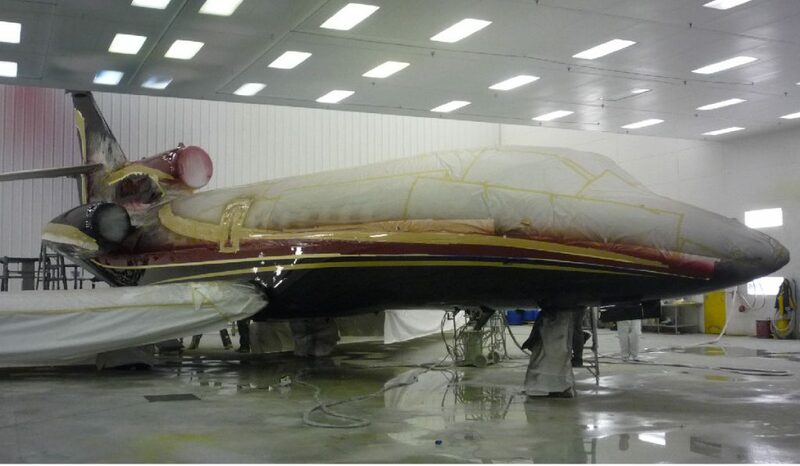 Masse is now helping to drive the position of New United Goderich, a legacy paint shop that holds a range of services for business aviation and regional jets. WINGS spoke with Masse to understand more about the development of New United Goderich. What stood out in your early career? I started at Canadair three weeks before the initial Challenger rollout, so there was lots of activity and buzz with such a new program, while at the same time being involved in the military program, which is what the CP-140 program was. It was quite an experience to be exposed to all of this at the same time. At Bombardier, I was involved in the strategic planning process under both Brian Moss and John Lawson in the ‘90s and there were a lot of major accomplishments with the launch of Global Express, Challenger 604 and the creation of Flexjet… The Challenger program was quite positive. Global Express was launching and going into service. The CRJ had been launched and it was selling really well at that point. The whole company was riding on a very high wave and it was reflected in the overall industry. I had the opportunity to join Skyservice Aviation in Montreal in a new role to help grow an aircraft management program. When I joined in 2000, the company had six aircraft under management and when I left in 2008 they had 53. That gave me a unique background. I was exposed to the manufacturing side [at Bombardier], but then for about 10 years on the operating side… I had the notion of having some skills that would be quite marketable. It was at that point that I launched my consulting business… Essentially working with companies on business development and strategic planning activities and also working with aircraft owners, either buying or selling aircraft; and at the same time helping to support some charter activity. What attracted you to New United? 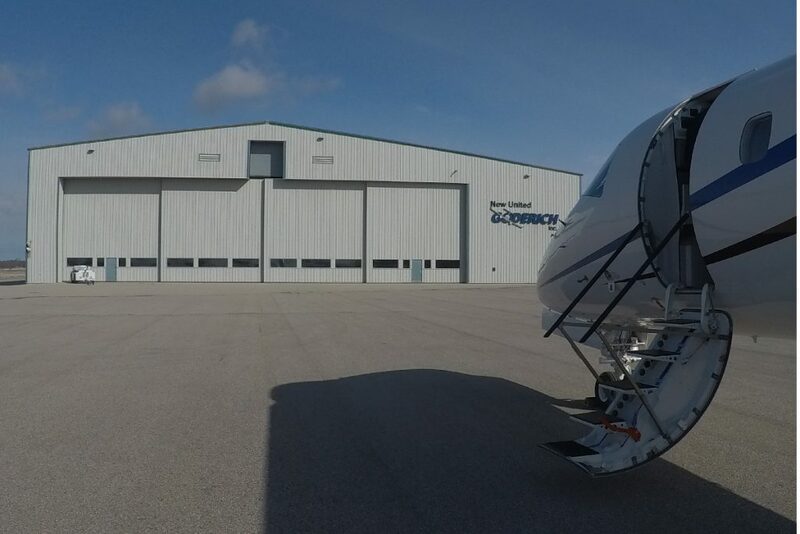 New United Goderich, to a certain extent, has been one of the best-kept secrets in Canadian aviation. It is a company that has been around for around 25 years – known more or less within the industry as a paint shop. When I was first exposed to what they do, their capabilities extend far beyond just painting aircraft. This is a great opportunity to help put them on the map and there is a very strong market today for the type of services they can offer both on the business aircraft side and for regional aircraft refurbs and conversions. The company was bought by Chinese interests about six years ago – by a prominent industrialist. So there is solid backing for the company operating in what is very much a growth environment. The company has been able to maintain a good level of business throughout these years, but it has not yet reached its full potential. Why was the new owner interested? It is a combination of what they saw in New United Goderich as a good investment, that can generate a good return, but it was also a way of getting into a market they had not yet established in China. They are looking at what we have here to draw up similar capabilities in China using local resources. What is New United focusing on today? The two main markets we are focusing on are mid- and large-size business aircraft – business jets – from exterior paint to interior refurbishment conversions, all maintenance activities and avionics installations. And the second market is looking at regional aircraft, primarily Bombardier CRJs and Embraer ERJ aircraft for refurb and conversion programs – repurposing aircraft into primarily commuter-style airliners. There is a huge potential to develop this activity both in established and emerging markets. Why are aircraft conversions growing? From a market research analysis perspective, we are seeing a significant amount of effort being made in the charter markets on the business aircraft side to develop different models to true full ownership… Converting 50-seat aircraft to a 15-VIP-seat or 30-seat business-class configuration is an extension of that, to fill a gap between typical airline activity and the true charter market. We have already partnered and participated in converting aircraft with JetSuite X in California. They offer a 30-seat, business-class configured aircraft with point-to-point service between various destinations within surrounding States. Prior to my arrival the company saw this is as an interesting niche market with potential. 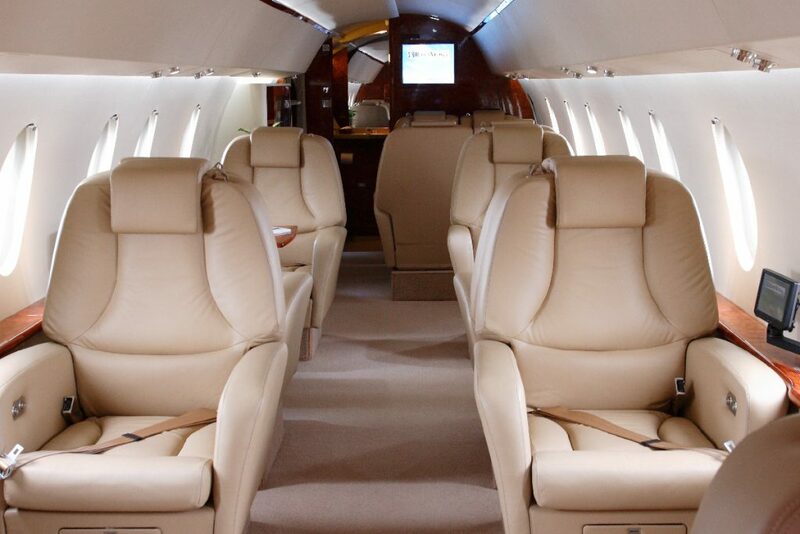 A European charter operator is also offering services with an aircraft we converted. 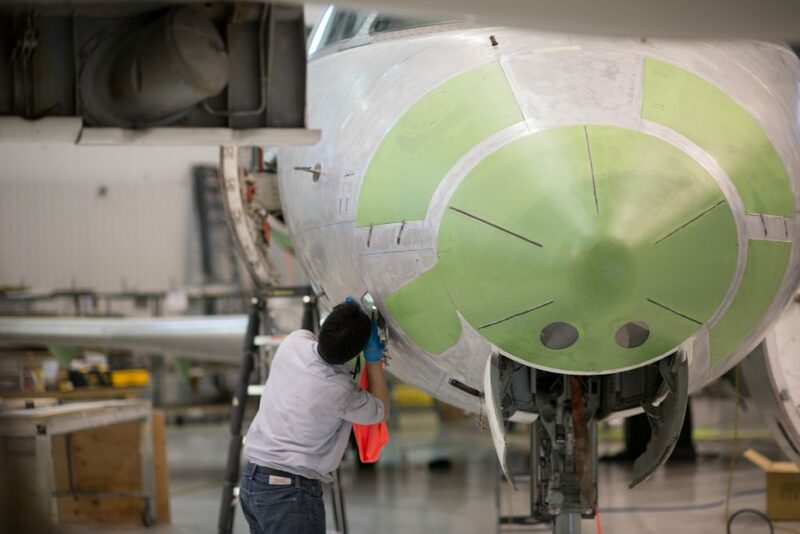 We also work with leasing companies to refurbish previously stored aircraft for new operators. This is another niche market that has on-going potential. What is New United’s MRO sweet spot? Basically Challenger, Falcon, Global Express, Gulfstream size aircraft is really what we are focusing on. However, with customers, we will definitely look at doing work on mid-size aircraft and we are not saying no to small jet aircraft. What investment plans are in place? While we are considering investments for future growth, our current facility can handle 737 or Airbus A320 size aircraft. 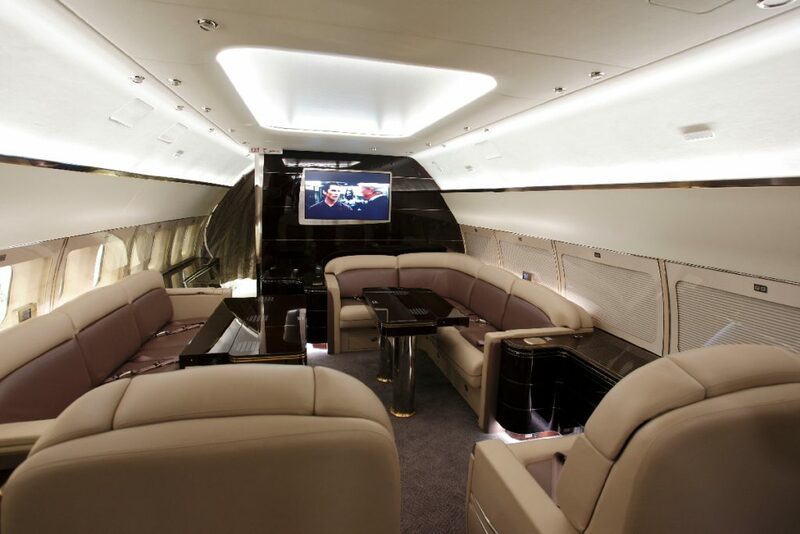 The company did complete a VIP interior for a BBJ about six or seven years ago. Apart from a few outsourced capabilities for some components, the facilities here in Huron Park are all self-contained. We are a full maintenance shop. We have an upholstery shop to rebuild seats completely. We have our cabinet shop, including our own finishing activities, and our own avionics shop. The capabilities that exist today are essentially a one-stop shop. We own the airstrip where we are located in Centralia, or Huron Park, so availability of land is not a constraint. How important are avionics today? A lot of the avionics updates in an aircraft are driven through regulatory changes. The big change that is coming to a head at the end of next year is ADS-B. That is one area we have been focusing on, because we have the capabilities and the capacity. As a starting point, we have developed our own STC for an ADS-B solution for Embraer 135/145 aircraft, which includes Legacy 600s and 650s. It was developed in partnership with Honeywell. We are a Honeywell dealer, so we are working with them to expand this capability for other aircraft types. How is New United attracting talent? The shortage of AMEs is affecting absolutely everybody. The attraction that we can demonstrate to potential employees is, first, our location. We are in a very community-oriented environment. The quality of life is quite positive in this area. We are a relatively small company, about 100 to 110 employees today, so the environment is very focused. What impressed you most when you came to New United Goderich? The depth of capabilities – When I was at Skyservice, they had a couple of aircraft painted here. They were Lear 35s, relatively small jets, so to discover New United Goderich worked on a Boeing business jet interior was quite surprising. They have also completely refurbed an MD87, which also fit within the hangar. This little company has worked on world-class aircraft over the past 25 years. What excites you most about New United? The Canadian market is quite important and we make sure to maintain the relationships we have here. But as everyone recognizes, the bigger market is just down south in the United States, in addition to Europe and other international locations. Our ability to grow that even further is exciting. In the past year or so we are starting to see that. Some of the aircraft conversion activity we have done with both ERJs and CRJs are flying in Europe, the United States, China, Argentina, South Africa, so our work is being exported across the globe to a certain extent. What is your outlook for the market? Right now we are on a positive cycle and I do not see it diminishing for the next two or three years, at least – political issues notwithstanding. Used aircraft inventories are extremely low. They are at their lowest point in probably 10 years… The backlog for popular in-production aircraft are extending out two to three years. So to a certain extent what is helping to drive our business on the refurb and maintenance side are aircraft owners who would typically want to step up into a different aircraft… They cannot find something they like, so they will spend the dollars to refurb what they currently have. That is quite positive for a company like New United Goderich. But the whole industry to me for the next couple of years will remain very positive both within the North American markets and European markets. Asia will continue to grow, but recognizing that 65 to 70 per cent of aircraft are still in North America. What amazes you most about how far aviation has come? Being able to travel in a private aircraft has significantly expanded over the years and that is a testament to the industry, in what it has been able to develop to make it more accessible. One of the functions I had at Bombardier was to manage the market research group. One driver of business aviation is the ability to get from Point A to Point B. The U.S. market has roughly 5,500 airports. Airlines basically serve 500 airports, so the other 5,000 are being addressed by business and general aviation. And the Canadian market is very much the same. There are strips all over the place in Canada.